I’ll get the big news out of the way first. I’m going to see Star Wars a little later today. Wait, what? You wanted better news? Hmm. 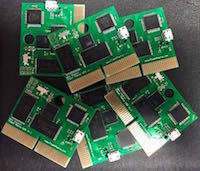 Well, I guess to compensate, I can offer some more NGPC USB Flash Masta carts for sale. We only have 6 of these to offer today. I really wanted to get more before Christmas. Maybe we’ll get another batch ready before then. I soldered up 10 of these carts, but 4 of them have some issues that didn’t pass QA. That probably means we’ll have 4 more ready next week (when I find some small soldering error), but I can’t guarantee it. Last time (near Thanksgiving) we put up 8 for sale they were gone in less than a day. I have no idea how quick these 6 will go, but I know that there are people waiting for me to release these. 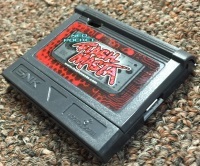 Please see http://www.flashmasta.com/2015/11/25/introducing-the-neo-pocket-flash-masta-usb-cartridge-and-new-software/ for more info. Cannot wait for you to have a few more ready so that I can grab one.